This is the ultimate way of island hopping. On this Island Hopping Sailing Cruise you will sail between the Islands Koh Tao, Koh Phangan, Koh Samui and the meanwhile famous Mu Koh Angthong Marine Park, making it a total of 45 islands for your personal sailing adventure! That’s plenty of space and many places to visit. 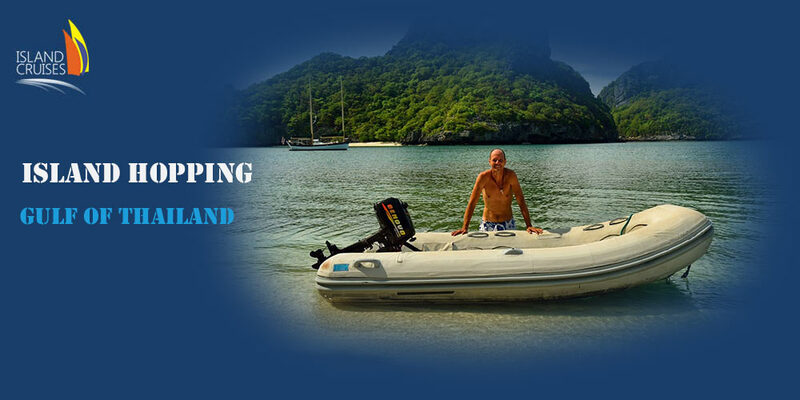 Island hopping with Island Cruises Koh Tao is a great way to see much of the Gulf of Thailand, stop where it is nice and go for a swim or take a little snorkel trip to enjoy the most colorful underwater world with it’s tropical fish and coral reefs. If you go island hopping with Alf and Sacha, you will be in the good hands of two very experienced sailors who know the waters around these islands like the back of their hand. The Itinerary of your island hopping cruise will depend much on the length of your stay aboard our charter yacht and, as always, on the weather and wind direction during the time of our trip. This is a good thing, as way we are able to adjust to the season in the southern Gulf of Thailand and actively sail during the whole island hopping cruise. 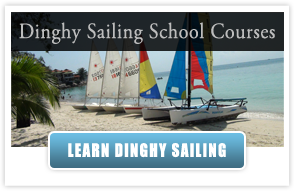 Our daily sailing distances therefore vary from 20 to 40 nautical miles. We will be happy to offer you a customized safari depending only on your wishes and the season of the year. 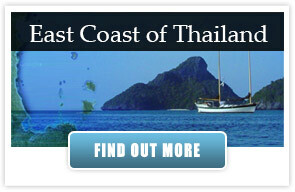 View here some of the possible island hopping cruise options. Boarding the sailing yacht SY Freedom Fargo at 9.00 am in Koh Tao. Setting sails and sail to Mu Koh Angthong Marine Park. Lunch will be provided aboard the Sailing Yacht. We’ll be dropping anchor at about 5 pm at Ko Wua Talap Island. Dinner will be served aboard. After breakfast the guests have the option to go ashore to climb the Viewpoint or visit the Bua Boke Cave. Setting sails at about 10.00 am and sail to Koh Phangan. Lunch will be provided aboard the Island Hopping Sailing Yacht. Dropping anchor at about 5 pm depending on season at Thong Sala / Chaloklum / Ban Tai. Going ashore to explore the local village depending on anchorage (Thong Sala / Chaloklum / Ban Tai). Dinner served aboard the yacht. We’ll be setting sails at about 10.00 am and sail back towards Ko Tao. Lunch will be served aboard the Sailing Yacht. Arriving at about 5 pm back on Koh Tao. 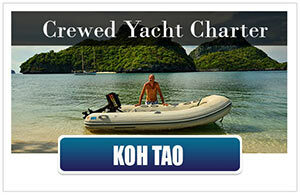 We’ll be boarding the sailing Yacht SY Yun Khan at 9.00 am on Koh Tao. Shortly after we’ will set sails and sail towards Koh Samui. 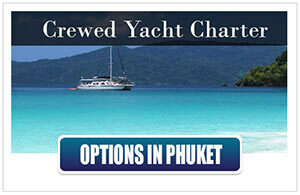 Depending on season, we’ll be dropping anchor at about 5 pm at Ban Rak or in Nathon. Dinner will be served aboard the yacht. Enjoying the evening aboard under the stars. After breakfast we set sails and leave at about 9.00 am, sailing to Mu Koh Angthong. We’ll drop anchor at about 5 pm, also depending on the season at Ko Wua Talap. Going ashore to explore the tiny marine ranger village and the beach on Ko Wua Talap Island. After sunset, dinner will be served aboard the yacht. 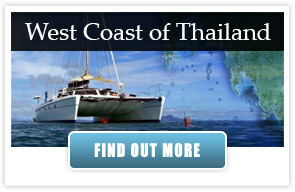 We’ll be setting sails at about 10.00 am and sail to Koh Phangan. Depending on the weather we will arrive int Thong Sala or Chaloklum Bay at about 5 pm. 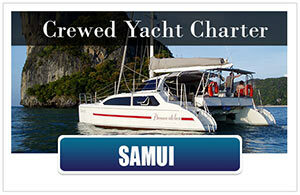 We’ll be ready to set sails at about 10.00 am and sail to Koh Tao. arriving at Koh Tao at about 5 pm. 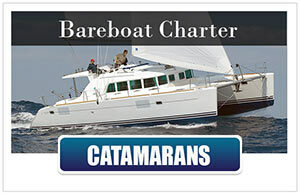 You will be accommodated in a private fore cabin which houses a V-berth which is similar to a double bed. The double bed is 2 meter long and on the head end 2 meter wide. The cabin is well ventilated through a hatch in the roof. At the head, which is the maritime term for the toilet aboard a yacht, we provide an electric marine toilet which is equipped with a holding tank to prevent black water being released in coastal areas as it is standard in the Mediteranean or the Americas. We try to minimize our ecological footprint during our island hopping and sailing cruises, even though it is not required in Thailand. 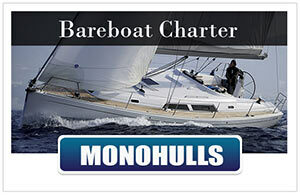 • Snorkeling gear • Yacht delivery to or from Koh Phangan or Koh Samui, if differnt starting or ending point is required. Please inquire! 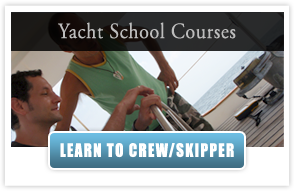 Check out our Last Minute Offers for Sailing Courses and Safaris. Offers are updated almost daily! Read customer reviews on Trip Advisor here! 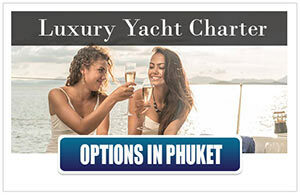 Please also have a look at our Day Charter Sailing Cruises here, or contact us, if you need more information about our island hopping sailing cruises in the Gulf of Thailand.